Whatever sphere of life we move in, it’s likely that we’ll have our own special acronyms and abbreviations when mixing with “our own” people. These clusters of letters or even digits, unfathomable to the outsider, are a sign that we belong in a particular group. When I worked in television, I would talk with my producer about where I would record my PTC (piece to camera), or head for the studio for an urgent 1+1 (presenter in the studio joined by one guest). Using such terms is like having access to a secret code, though they often mean something very ordinary. At the end of June, the Lord Mayor of the City of London, Michael Bear, will visit Russia, and there’ll be plenty of alphabet soup on the menu: IFC, PPP and SMEs will feature prominently. When I first heard talk of Moscow and the IFC I must admit I was confused. To me, FC always stood for football club. Which team, I wondered, was the IFC, and who would they be playing in Moscow? Ah, the joys of finding yourself in the wrong bowl of alphabet soup! I soon discovered that IFC means international financial centre: talks on how the City of London can help Moscow develop as a financial centre will be a key part of the Lord Mayor’s programme. PPP – public-private partnership – is perhaps rather better known, as these collaborations between state institutions and private companies, especially to fund infrastructure projects, have operated successfully in the UK for the past 20 years. At least 1,000 such projects were completed. 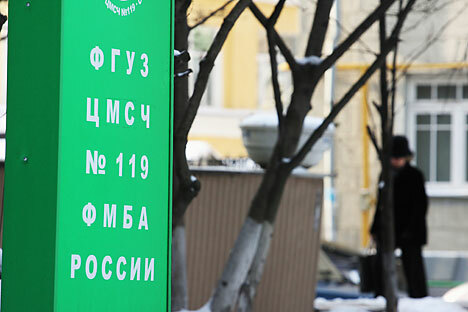 In Russia, the concept has been harder to grasp, perhaps because the equivalent Russian abbreviation, GChP, not only doesn’t trip off the tongue as easily as PPP, but it also recalls GKChP, the farcical group of putschists which tried to seize power from then Soviet president Mikhail Gorbachev in August 1991. Another alphabetical problem that besets Russian business is that of SMEs. Small and medium-sized enterprises, are the backbone of British business. As a rule of thumb, a small business employs fewer than 50 people; a medium one fewer than 250. Such enterprises make up over 90pc of businesses in the UK. With its high dependence on natural resources and the Soviet legacy, Russia has yet to come to terms – psychologically or practically – with the concept that a strong SME sector should provide the bedrock for business in modern society. Small really can be beautiful. The Lord Mayor faces some interesting challenges. No one doubts the enthusiasm of Russian businessmen to create an IFC in Moscow; to develop PPPs; or to strengthen SMEs. But, as with so many business questions in the country, there needs to be the political will to simplify the bureaucracy. Almost 20 years after the collapse of the USSR and the Soviet system, that remains one of the biggest obstacles to Russia producing an alphabet soup that suits the taste of the most enterprising entrepreneurs.